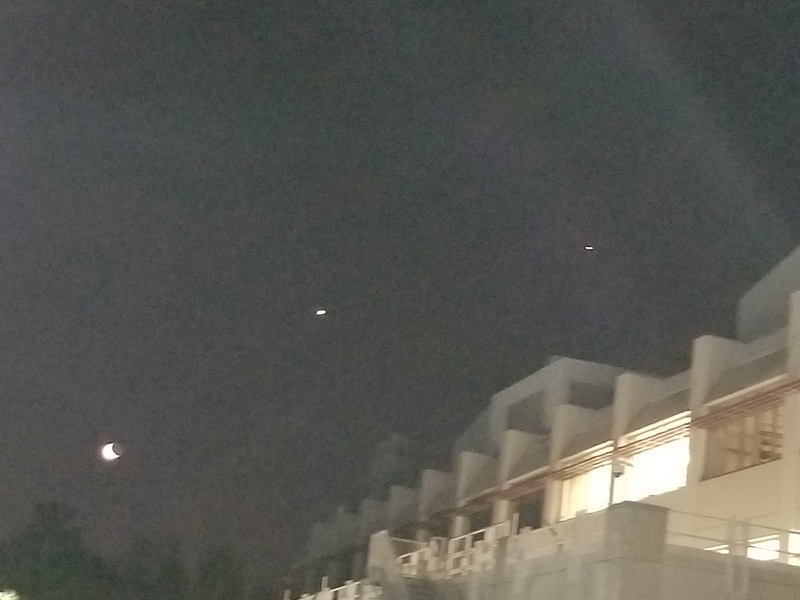 For the month of January, Venus and Jupiter have been close together ( in conjunction). Both are very bright. This morning the crescent moon split the two. It was beautiful. We missed the wolf moon lunar eclipse due to a snow storm. This view made up for it. The pic is terrible due to ground lighting at work. 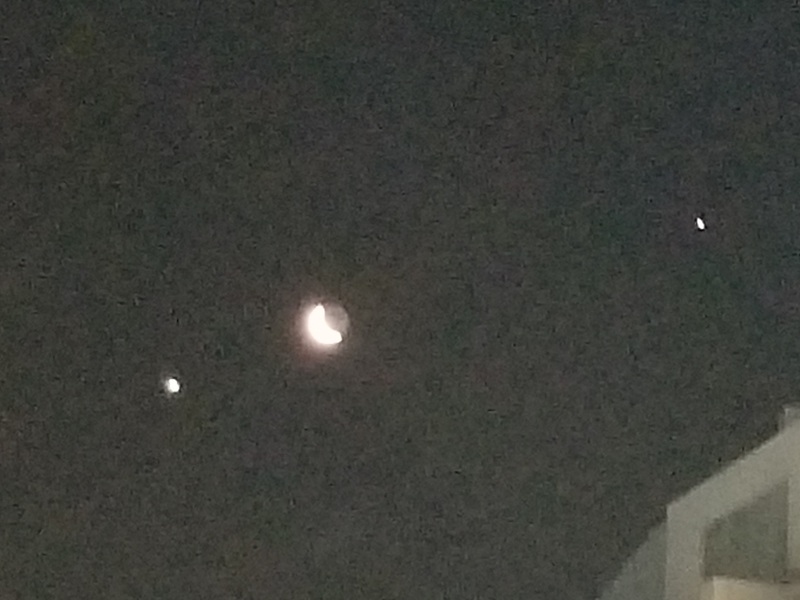 But L to R is Venus, Moon and Jupiter. Yes, I've been watching those planets all month (they've been much closer together and are now moving apart) but todays conjunction was just superb. Today an even worse picture. But still an interesting sight. The moon no longer bisects Venus and Jupiter but sits to the lower left of Venus. The picture does not do the scene justice. All 3 objects are crisp and bright in crystal clear sky. Impressive.